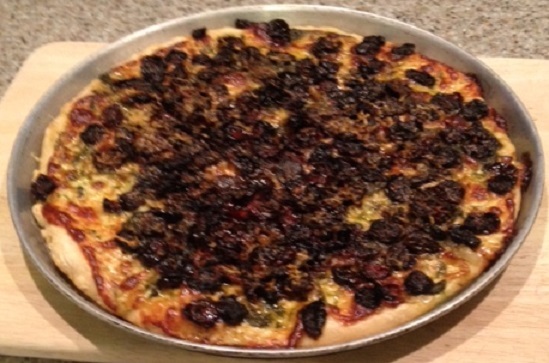 Pizza is a very adaptable dish that works with any seasonal ingredients. 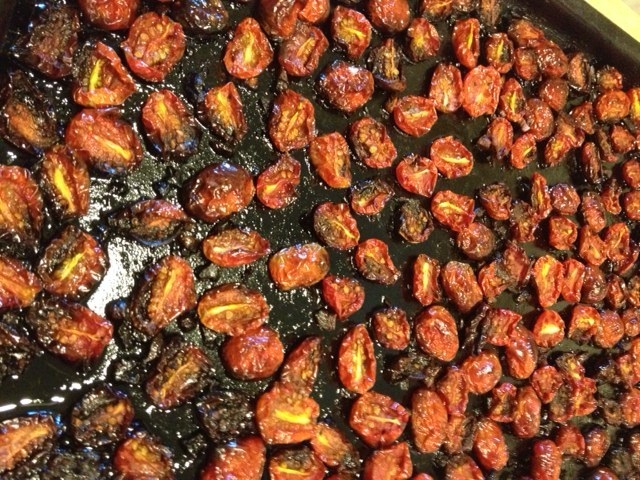 In winter, I usually make a pizza sauce that is similar to my pasta sauce for our Friday night pizza. In the summer, however, I like to take advantage of being able to use fresh tomatoes and other fresh vegetables on my pizzas. 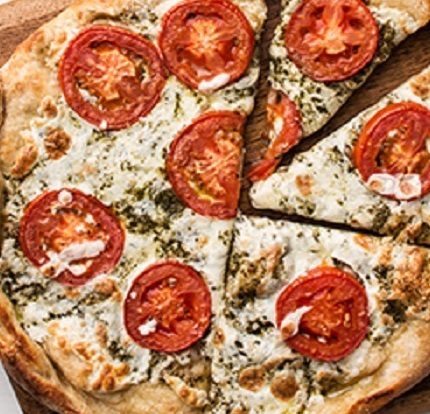 Our favorite summer pizza is a simple one topped with sliced fresh cherry tomatoes, basil pesto and mozzarella cheese. The best tasting pizza crust is made the day before you want to use it. Here is an easy no-knead recipe that is adaptable to any shape or even for grilling. 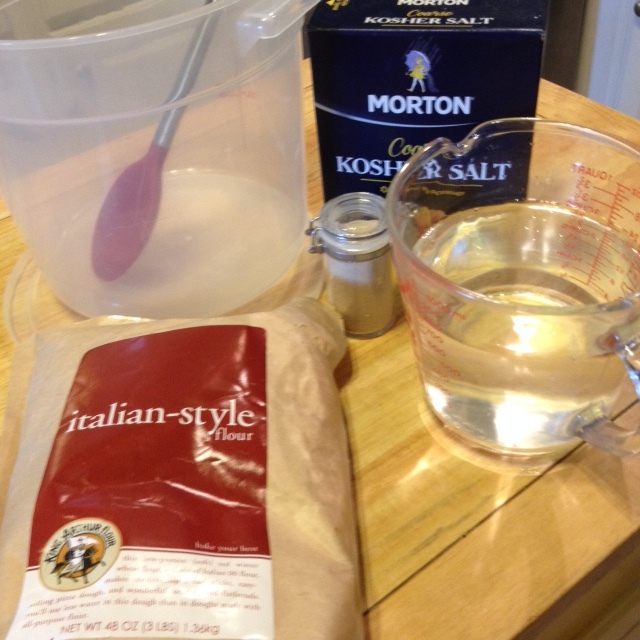 In a large bowl, mix the flour with the yeast and salt. 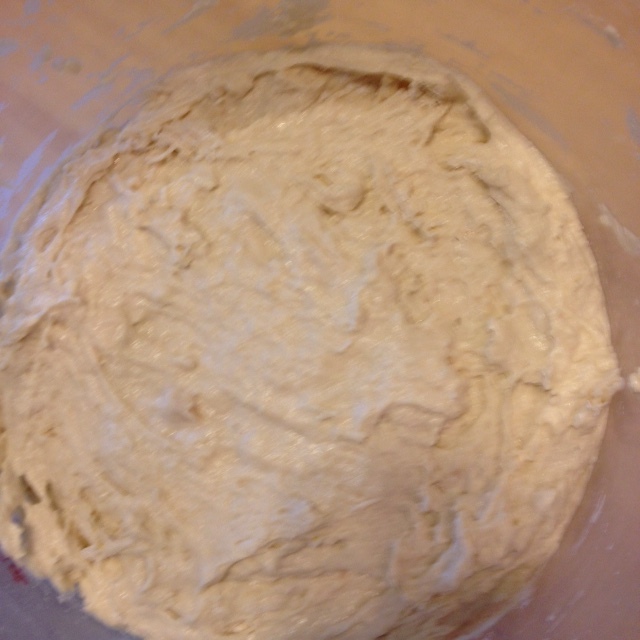 Add the water and stir until blended (the dough will be very sticky). Cover the bowl with plastic wrap and let rest for 12 to 24 hours in a warm spot. 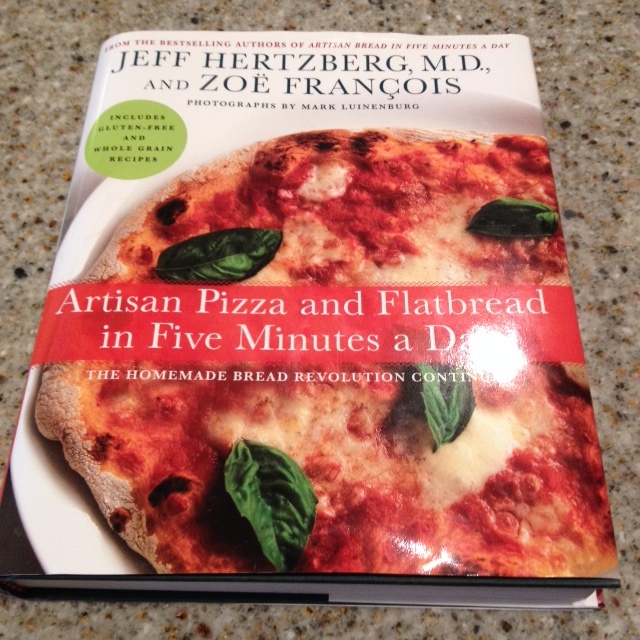 The next day, place the dough on a lightly floured work surface and lightly sprinkle the top with flour. Fold the dough over on itself once or twice and divide the dough into 2 pieces. Shape each piece into a ball. Generously sprinkle a clean cotton towel with flour and cover the dough balls with it. 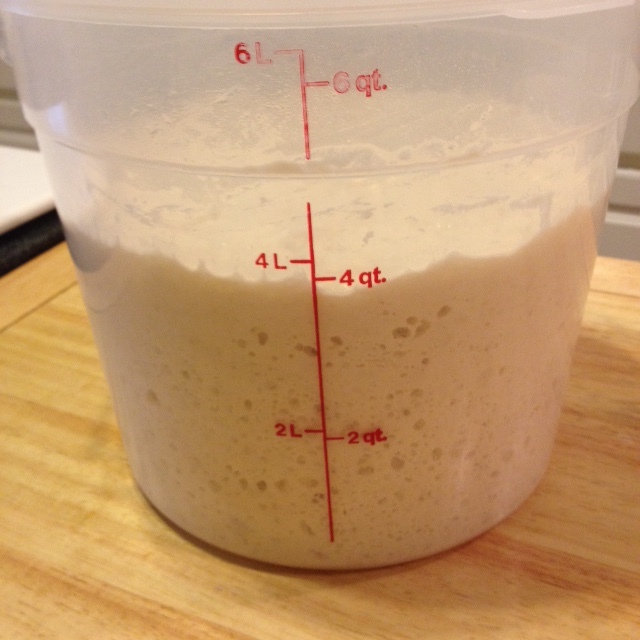 Let the dough rise for 1 hour. Stretch the dough to the edges of the pizza pan or roll the dough into the desired shape. Position an oven rack in the next to lowest setting. Heat a large nonstick skillet over medium-high heat. Add olive oil to the pan and then the onion and thyme; cook for 3 minutes or until the onion is tender, stirring occasionally. Add bell pepper and garlic to the pan; cook for 2 minutes, stirring occasionally. Add corn, salt and black pepper and cook for 1 minute or until thoroughly heated. 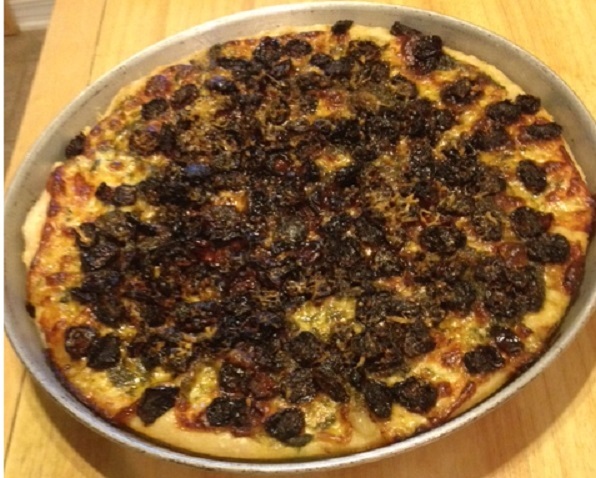 Lightly coat a 16 inch pizza pan with olive oil and sprinkle with a little semolina flour or cornmeal. 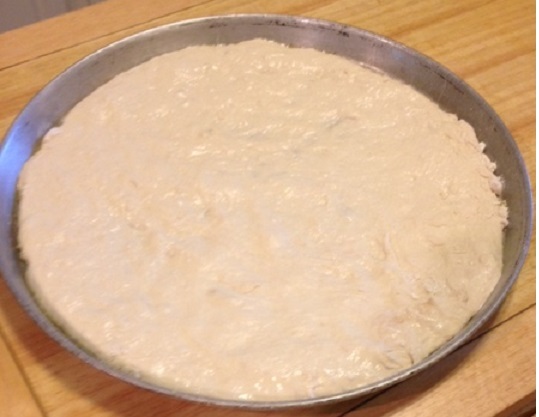 Press dough to the edges of the pan. Arrange mozzarella slices evenly over the dough. 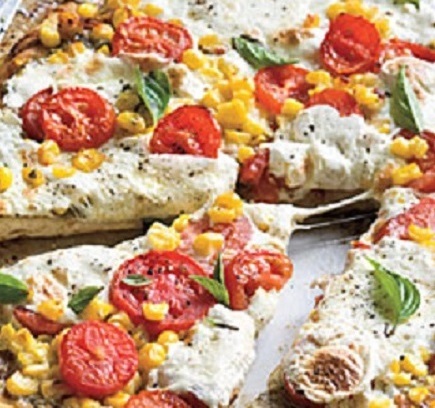 Spread the corn mixture evenly over the cheese and top with Parmigiano-Reggiano cheese. Bake 15 minutes. 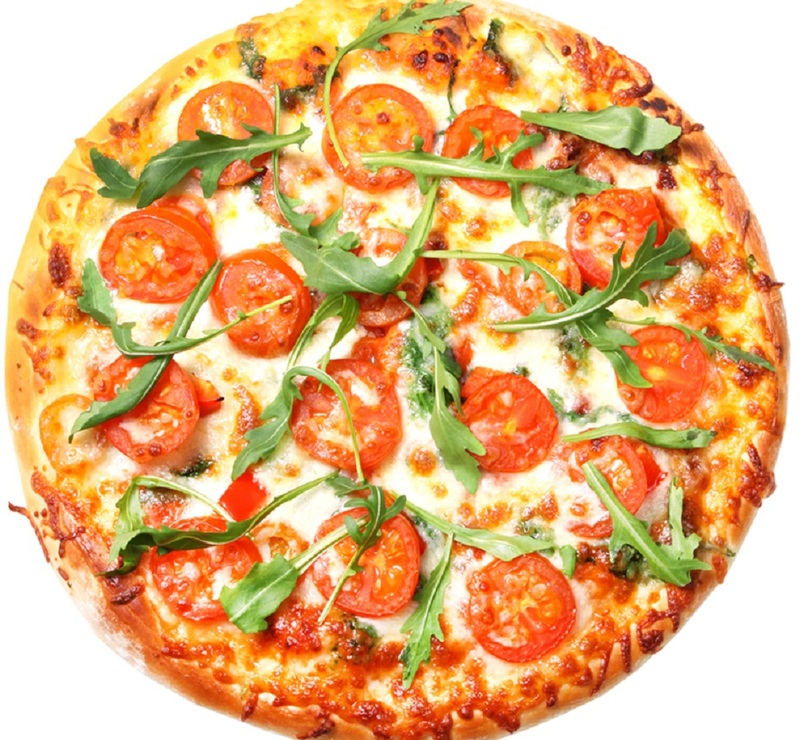 Arrange tomatoes evenly over the pizza; bake an additional 5 minutes or until the crust is browned. Remove from oven and sprinkle with basil. Slice into 8 pieces. 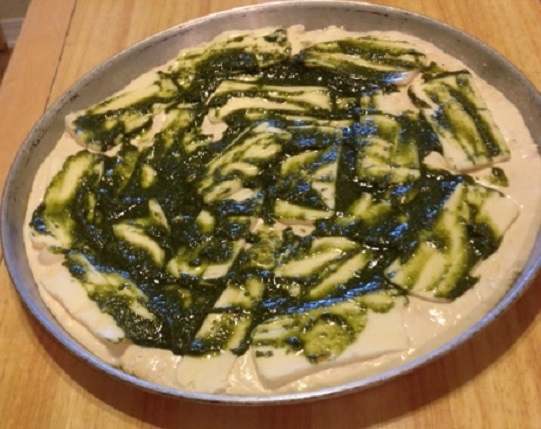 Place pizza dough on an oiled baking pan and stretch dough to form an oblong crust, about 15 inches long and 11 inches wide. Brush with 1 tablespoon of the oil. Sprinkle with garlic and dot with feta cheese. 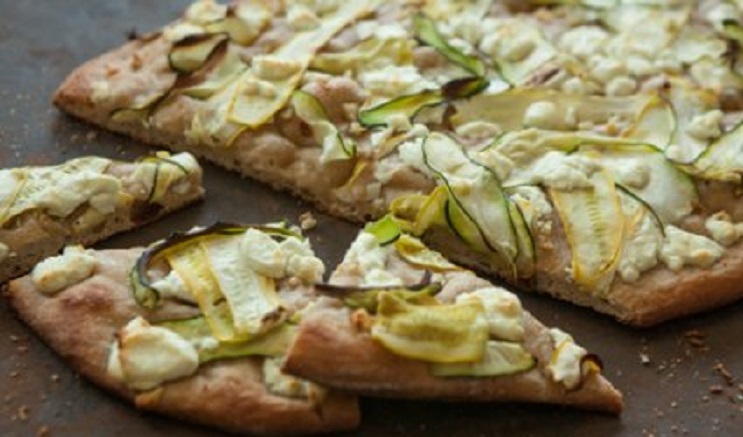 Using a vegetable peeler, peel wide, thin strips of squash and place them on the pizza; stop when most of the pizza is covered (do not put too much squash on the pizza or the crust will become soggy). Bake until the crust is browned and cheese is melted, about 20 minutes. 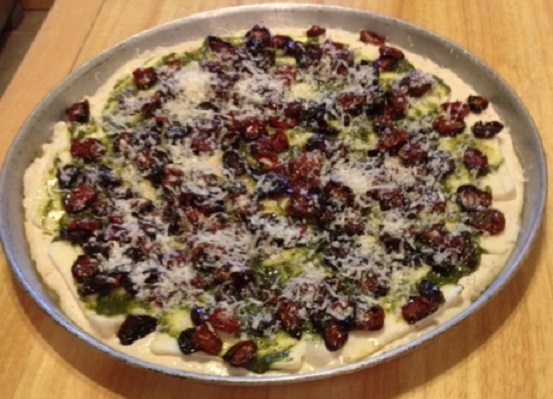 Sprinkle the baked pizza with oregano leaves and coarse salt. Cut into squares and serve. 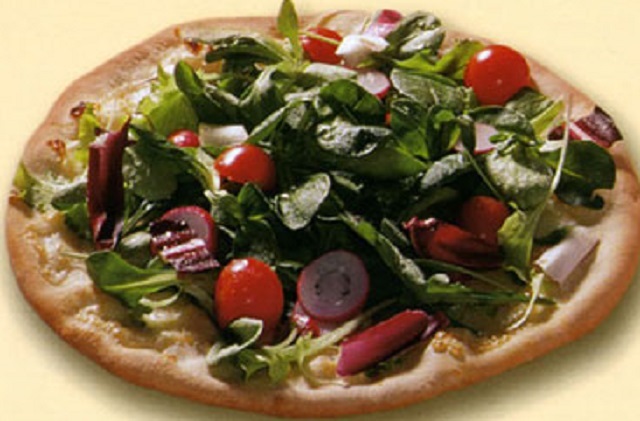 In a large mixing bowl, combine the lettuces, onion and tomatoes. Set aside or prep several hours ahead and refrigerate. In a small bowl, combine the olive oil, vinegar and lemon juice. Whisk well to combine. Season with salt and pepper. Bake until the crust is golden brown, about 10 minutes. Sprinkle the cheese evenly over the crust up to the border and return the pizza to the oven just until the cheese begins to melt. Allow the pizza to cool for 10 minutes. Toss the salad with the dressing. Cut the pizza into wedges. Serve a wedge on a large plate. Top with salad and sprinkle the greens with grated Parmesan. Top the pizza with any of the other optional garnishes and serve. Combine olive oil and the sliced garlic in a large skillet. Heat over medium-high heat until the garlic begins to sizzle. Add the spinach and sauté 1-2 minutes or just until the spinach wilts. Combine ricotta, mozzarella and parmesan cheeses in a mixing bowl. 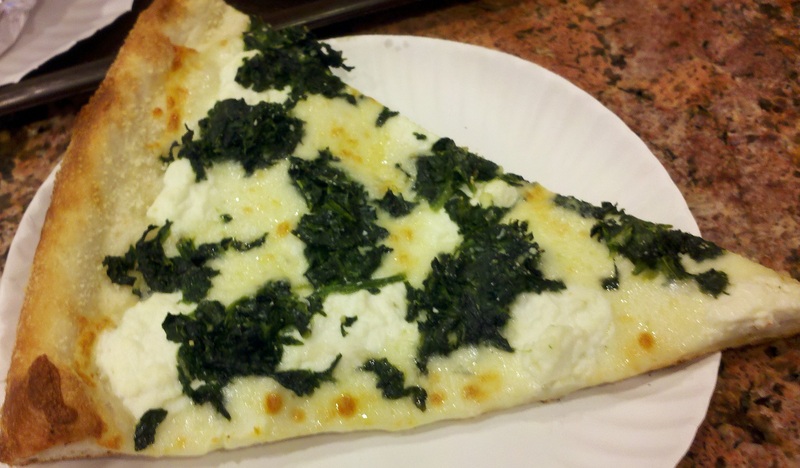 Spread the combined cheese mixture over the crust and evenly distribute the spinach over the cheese. Bake for about 20 minutes or until the crust is lightly brown. 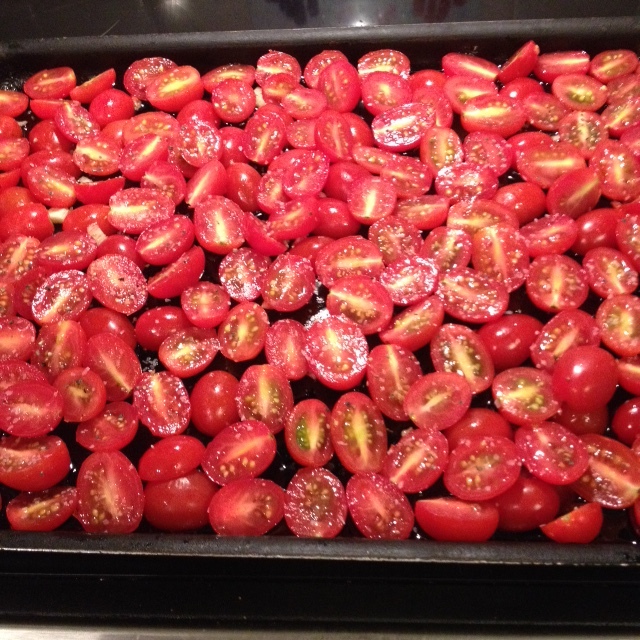 Cut tomatoes crosswise into 1/8-inch-thick slices and let them rest on paper towels for 30 minutes. Sprinkle with salt and pepper to taste. Arrange mozzarella slices evenly over the dough. Spread pesto over the cheese and arrange the tomato slices over the pesto.